Bulla is launching a new Baileys ice cream range. The Baileys’ Chocolat Luxe’ range includes Belgian chocolate flavoured sauce with Baileys Irish Cream liqueur-infused ice cream, available in 500ml tubs or six-packs of stick-based ice creams. Bulla first launched a Baileys flavoured ice cream range in 2015. Baileys brand owner, Diageo, said it is happy to again be working with Bulla. 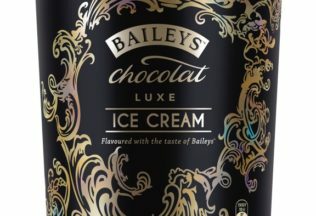 “The new range will take our loyal Baileys consumers on an indulgent sensory experience with Baileys Chocolat Luxe Ice Cream now available in Australian and New Zealand freezers,” said Kathryn Percy, Diageo Australia brand manager. The ice creams are now available in Australian supermarkets for a recommended retail price of AUD $7.50 for a 500ml tub and AUD $7.90 for a six-pack of ‘petite sticks’. The range includes Cold Brew Coffee 310ml and Coca Noir 310ml.